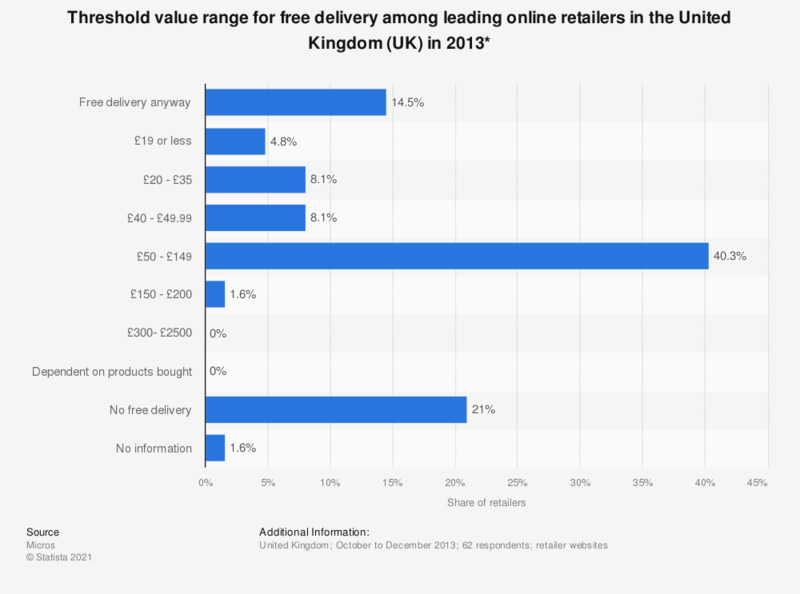 This statistic displays the threshold value range for free delivery among leading online retailers in the United Kingdom in 2013. Among leading retailers, 4.8 percent offered free delivery on orders valued under 19 British pounds. * This statistic considers online retailers on the IMRG-Experian Hitwise Hot-Shops List. The list is a key indicator of online merchant performance, ranking online retailers by websites visits. It excludes eBay and price aggregator websites.